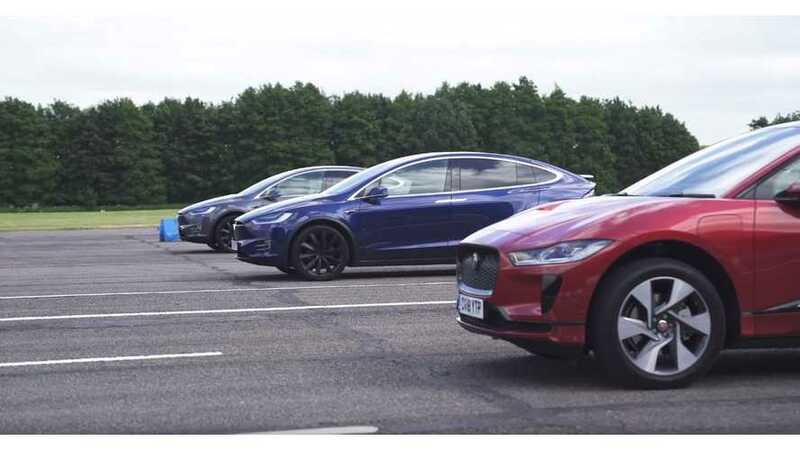 When Jaguar first revealed its electric I-Pace to the world, the automaker released its own video of the electric car racing against a Tesla Model X. Since the video itself was produced by Jaguar, the results were questioned. Was it actually true that the electric Jag could beat a Model X? Sure, if you choose the right Model X to pit it against (which in the case of the first video was the X 75D), but what if the odds were stacked more in the favor of the Model X? What we present here is an independent video featuring the I-Pace against two worthy race competitors, one of which is the mightiest among the Tesla Model X line. We should note that none of these electric cars were conceived as speed machines. In fact, both the Tesla Model X and the Jaguar I-Pace are more or less considered family vehicles. Both have room for lots of occupants and tons of gear. Plus, they're at least mildly suited for off-road driving too. So, to see each of these three vehicles fly down the strip is impressive when one considers that's not at all what they're designed to do. For more on the I-Pace, check out our first drive review here.